GEDA USA’s original guided wire rope ladder hoist is used by roofers, construction workers and scaffolders because it provides easy, reliable transport for interior work, refurbishment or repairs on flat-roof buildings. Crafted from durable, sturdy aluminum and steel wire rope, the ladder hoist easily transports roof shingles, construction materials and solar panels. 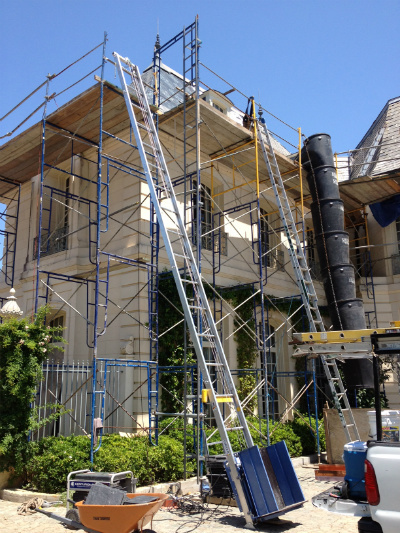 Roof repairs, interior renovations and other work requiring bulk load delivery can be made safer and more efficient with the GEDA USA’s guided rope ladder hoist. There are multiple load receptacles for different types of equipment or building materials. 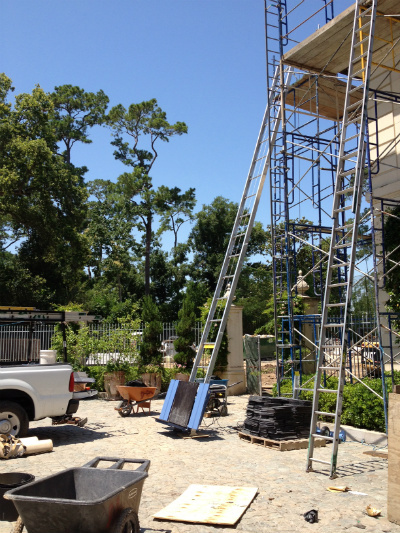 Ladder hoists are proven to save time and effort on the jobsite. Manufactured to meet the challenges of roofers and construction crews, the GEDA USA ladder lift is a durable, safe way to ensure material transport in a variety of environments. Guided rope hoists reduce workplace fatigue, since workers are not required to hand-carry or lift heavy loads. Less time and energy expended equals a decreased risk of on-site accidents and injuries, and higher productivity levels. Using the Ladder Lift for Contracting Materials - The ladder hoist can be equipped with a variety of attachments to accomodate the equipment and accessories of a construction site. 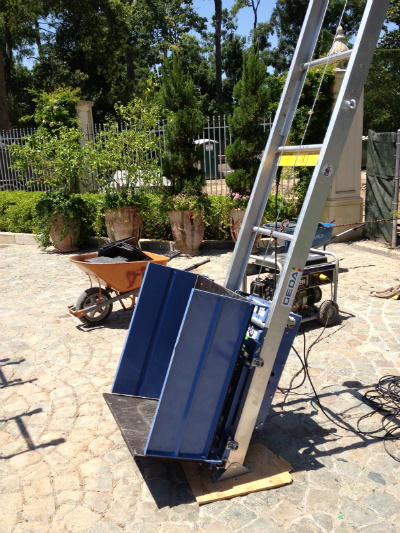 Using the Ladder Lift for Solar Panels - Simplifying the transport of fragile solar cells and photovoltaic systems. GEDA USA’s Solarlift advantages include Fast & easy assembly, space-saving design & storage, and efficient transport (easily dismantled into separate components). 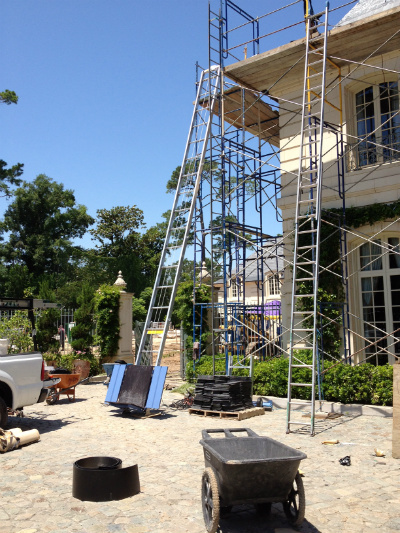 Mounting and assembly of the shingle lift and ladder components are easy and fast, and require no specialized equipment. GEDA USA prides itself on creating leading-edge, safe and reliable vertical transport solutions for customers spanning the globe. In addition, all GEDA material hoists are built to comply with safety and industry standards, and come with comprehensive warranties. For more information, or to place a Ladder Hoist order, contact the GEDA USA team today.